Seeing quantum movement; cloud-focused datacenters; 2D materials. In quantum mechanics, the underlying physical rules that govern the fundamental behavior of matter and light at the atomic scale state that nothing can quite be completely at rest, but now for the first time, a team of researchers from Caltech, McGill University, and the Max Planck Institute for the Science of Light has found a way to observe—and control—this quantum motion of an object that is large enough to see. The researchers reminded that it has been known for years that in classical physics, physical objects indeed can be motionless: drop a ball into a bowl, and it will roll back and forth a few times. Eventually, however, this motion will be overcome by other forces (such as gravity and friction), and the ball will come to a stop at the bottom of the bowl. Keith Schwab, a Caltech professor of applied physics, who led the work said in the past couple of years his group and a couple of other groups around the world have learned how to cool the motion of a small micrometer-scale object to produce this state at the bottom, or the quantum ground state. And they know that even at the quantum ground state, at zero-temperature, very small amplitude fluctuations—or noise—remain. And because this quantum motion, or noise, is theoretically an intrinsic part of the motion of all objects, the researchers designed a device that would allow them to observe this noise and then manipulate it. Because this noisy quantum motion is always present and cannot be removed, it places a fundamental limit on how precisely one can measure the position of an object. But that limit, the researchers discovered, is not insurmountable. They developed a technique to manipulate the inherent quantum noise and found that it is possible to reduce it periodically. To make the network management in the clouds fundamentally easier, USC Viterbi assistant professor in the department of computer science, Minlan Yu is focusing on redesigning network infrastructure. 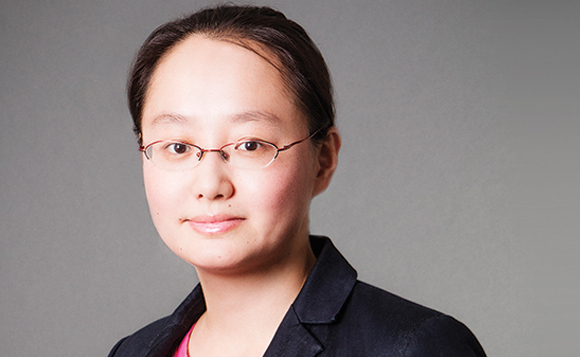 Her research is focused on building a programmable measurement architecture, which will provide comprehensive visibility to network administrators with minimal resources, along with developing new courses in software-defined networking and cloud computing. Currently, Yu is working closely with major cloud computing companies to redesign the management framework. She designs new abstractions for network administrators to freely express their management goals without worrying about the underlying complex implementation. She then introduces new management primitives at hosts and switches that can support a variety of management requirements and designs novel algorithms to map the high-level management goals to the low-level primitives efficiently. Her work will enable new cloud services for our everyday life, make cloud applications like Facebook and NetFlix run more efficiently, and make the cloud infrastructure more reliable. 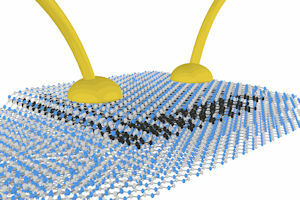 Dozens of new 2D graphene-like materials are now available, thanks to work by University of Manchester researchers. The team created devices to stabilize 2D materials. The 2D crystals are capable of delivering designer materials with revolutionary new properties. In the past, the vast majority of atomically thin 2D crystals were unstable in air, so they react and decompose before their properties can be determined and their potential applications investigated. Now, the researchers have demonstrated how tailored fabrication methods can make these previously inaccessible materials useful. By protecting the new reactive crystals with more stable 2D materials, such as graphene, via computer control in a specially designed inert gas chamber environments, these materials can be successfully isolated to a single atomic layer for the first time. Combining a range of 2D materials in thin stacks give scientists the opportunity to control the properties of the materials, which can allow ‘materials-to-order’ to meet the demands of industry. High-frequency electronics for satellite communications, and light weight batteries for mobile energy storage are just two of the application areas that could benefit from this research.